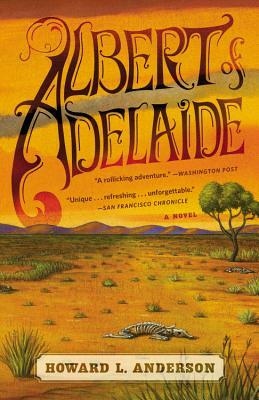 A quirky western set in Australia where a lone platypus escapes from a zoo, looking for a mythic land where he can live a better life. Instead he finds some friends and quite a few enemies. Like Redwall, but for grown ups. At once an old-fashioned-buddy-novel-shoot-'em-up and a work of deliciously imagined fantasy, Howard L. Anderson's dazzling debut presents the haunting story of a world where something has gone horribly awry . . .
Howard Anderson has had a varied life: He flew with a helicopter battalion in Vietnam, worked on fishing boats in Alaska, in the steel mills of Pittsburgh, as a truck driver in Houston, and a scriptwriter in Hollywood, and, after gaining a law degree, became legal counsel for the New Mexico Organized Crime Commission. He is currently a defense attorney in New Mexico, where he defends Mexican nationals charged with crimes north of the border. "Memorable . . . lively . . . quick to satisfy with old-fashioned pleasures: action, adventure, fast friends, and unlikely heroes."